From a single automobile, to an entire collection, we can serve your appraisal needs. Founded in 1990, USAppraisal, LLC is dedicated to accurate appraisal services for our clients. We maintain a library containing thousands of books, periodicals, updates, guides and brochures collected over the past thirty years relating to automobiles and trucks of all types. An appraisal is the estimation of the value of property at any given point in time, past or present. An appraisal can also entail the forecasting of monetary earning power. An appraisal is a document with a valuation conclusion; it is not a pre-purchase inspection, a mechanical evaluation or a recommendation to buy or sell your vehicle. An accurate up-to-date appraisal is an important part of owning a collector vehicle. Appraisals are essential for insurance valuations, bank (or other) loan verification, personal property taxes and valuation disputes. My car is one of a kind, modified and/or very rare. How can you accurately appraise it? Even one of a kind cars have similarities to other vehicles that were built at the same point in history. Examples include early vehicles built by automotive pioneers, “one-offs” built by inventors and/or speculators as well as highly customized cars, hot rods, art cars and tuner cars. The appraisal process provides for a comparison to cars that have similar markets and characteristics. USAppraisal, LLC has provided a link to various price guides to help you estimate your car’s value range. When you are searching these guides, you will find there are many differences of opinion in valuation of many vehicles. Only by obtaining a professional valuation will you be able to have a third party accurately view, describe and value your vehicle for the purpose intended. I’ve scheduled an appointment to have you appraise my car. What information do you need? USAppraisal, LLC builds and maintains a file on every car appraised. While an appraisal can be done without it, copies of all recent repairs or restoration, bills and receipts, recent service and service history are all important. Each file is a record for valuation; the more complete the better. Copies of photographs, registration documents and ownership history when available are appreciated. Copies only please, keep your originals as you would any important papers. Where can I get an idea of my car’s value? The first place many appraisers look might be in one of the following valuation guides. Simply look up your car’s make, model and year and you will find an estimate of your car’s value. Please keep in mind that appraisal guides are without context…they cannot tell information that is not given to them. Guides are just that: guide books to finding an estimate of the value of your vehicle. This is only a part of the information the professional appraiser uses when estimating the value of any personal property. As a service to you, USAppraisal, LLC is happy to provide links to a number of valuation guides, which will allow you to help estimate the value of your vehicle. Dave Kinney, ASA is a senior member of the American Society of Appraisers. Phil Neff, AM is an accredited member of the American Society of Appraisers. The American Society of Appraisers is the largest multidisciplinary appraisal organization in the world with over 5000 members. David Kinney is a Senior Member of the American Society of Appraisers, the nation’s largest multidisciplinary appraisal organization (www.appraisers.org). Having been a car enthusiast all of his life, Dave Kinney has been involved in almost every phase of the automobile industry. USAppraisal, LLC is the culmination of over thirty-five years of experience buying, selling, servicing and learning the ins and outs of the many facets of collector, special interest, antique, classic and production vehicles. Dave Kinney is also well known as an automotive journalist. 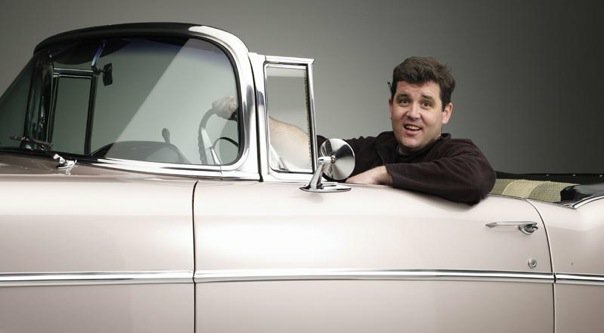 He is a columnist for AUTOWEEK Magazine and the British publication Octane. Kinney is also a past contributor to the New York Times Automobile Section. Additionally, Kinney is the founder and publisher of Hagerty Price Guide (formerly known as Cars That Matter). Philip Neff III is an accredited member of the Amercan Society of Appraisers. A lifelong auto enthusiast, Phil Neff has acquired an almost encyclopedic knowledge of classic automobiles. He has successfully shown and rallied various cars as well as been involved in the organization of automotive events for the last two decades. Phil is now frequently called upon to judge at numerous concours events across the country. Before becoming Research Director at USAppraisal, LLC Phil was the Director of Operations for The Elegance At Hershey, a concours and hillclimb event that was founded in 2011. Before that he was a project coordinator on seven acclaimed automotive books for Coachbuilt Press in Philadelphia, PA. The experience and knowledge gained there has prepared him to ferret out information on just about any car. Vehicle Valuation Per Value Date and Per Apposite Value: $575 per vehicle for work performed at our office in Great Falls, Virginia. For work performed in the Washington, DC area, and outside of the office, an additional fee is charged. In Virginia, Fairfax, Loudoun and Arlington Counties – $65. In Maryland, Montgomery County – $80. All other Washington area locations and Washington, DC – $95. For other locations, a one-way mileage fee is charged. Fee adjustments for multiple cars may apply. Please contact our office. The following vehicle appraisals incur an additional fee. These include coachbuilt or limited production, one of a kind, prototype, historically important vehicles, race cars, hot rods, street rods, modified vehicles, other wheeled transportation and commercial vehicles. Additionally, many pre-WWII vehicles require additional research resulting in a higher fee. Please contact our office. Diminished Value appraisal fee: $595 per vehicle, plus expenses and mileage if applicable. Exotic and limited production vehicle diminished value reports start at $795. This fee includes physical inspection by the appraiser of the vehicle. Please contact our office. Consultant Work Performed in the Washington, DC Metropolitan Area: $350 per hour or $2,200 full day, $1,100 half day. Includes examination of vehicle condition, opinions of authenticity and originality, preparation and review of depositions, photographs, repairs, reports, restoration, library or other research, consultations, trial preparation, oral and written reports. (Mileage over 100 miles billed at an additional $2.00 per mile one way). Consultant Work Performed Outside of the Washington, DC Metropolitan Area: $2,450 per day, plus expenses, billed in half day increments of $1,250, plus actual expenses incurred, including travel, meals, lodging, and professional support requirements, etc. at hourly rate. Out of town rate extra. Please contact our office for more information. office billed at hourly rate. Out of town rate extra. Terms: New accounts will be initiated with a retainer fee of $2,500 or 50% of estimated appraisal fee including anticipated expenses. Balance of fee is due upon completion and delivery of appraisal. Open Accounts: Open accounts are billed monthly and are payable upon receipt. Fees for deposition must be paid in advance based upon the anticipated duration of the examination. Balance due, if any shall be paid within five days of the deposition. Fees for court testimony must be paid in advance if retainer balance is less than $1,000. All appraisals are written in conformity with the Uniform Standards of Professional Appraisal Practice. Written narrative reports are subject specific. Receipt of retainer fees by USAppraisal, LLC indicates client’s acceptance and agreement to the terms and conditions of employment as specified herein. Questions about fees or a specific quote needed? Please call our office at (703) 759-9100. An appraisal is the estimation of the value of property at any given point in time, past or present. An appraisal can also entail the forecasting of monetary earning power. An accurate, up-to-date appraisal is an important part of owning a collector vehicle. Appraisals are essential for insurance valuations, bank (or other) loan verification, personal property taxes and valuation disputes. USAppraisal, LLC provides professional appraisal services for all vehicles, including collector, special interest and antique vehicles built from 1885 to the present. USAppraisal, LLC also provides appraisals of petroliana and automobilia. Our offices are located in the Washington, DC metro area. We serve clients nationally and internationally and are available to appraise vehicles and automobilia anywhere in the world.